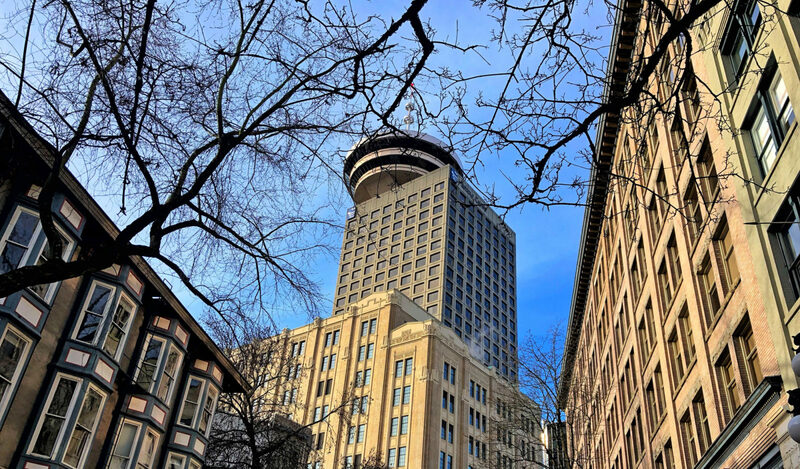 An agenda of the things we are doing, wishing we could do, or are conspiring to do in Vancouver from Jan. 30 to Feb. 5, 2019. From our calendar to yours comes this carefully considered agenda of cool things we are doing, wishing we could do, or conspiring to do in Vancouver from January 30th to February 5th, 2019. Please note that you can now get the Scout List – with a few extra pieces of intel included – sent to your inbox every Thursday. Sign up for your subscription in the sidebar. WINTER WANDER | Grab a warm cup of something and make your way to the Winter Wander in Vanier Park on Saturday where you can take short walks between these five key cultural centres: The Museum of Vancouver, H.R. MacMillan Space Centre, Vancouver Maritime Museum, Vancouver Academy of Music, and the City of Vancouver Archives. Fill up on music, science, history and art for the low price of $5! Pay your admission at the Maritime Museum or the Planetarium and get wandering! Find out more. GROUNDHOG DAY | Tradition has it that if a groundhog crawls out of its burrow on this day and fails to see its shadow, we can expect an early end to winter. If, on the other hand, the little bugger sees its shadow, winter will continue for six more weeks. Regardless of the outcome, Saturday is a prefect day to get a great big bowl of popcorn and settle on the couch for a home screening of Groundhog Day. Because when is Bill Murray ever a bad idea? Sat, Feb. 2 | Sat, Feb. 2 | Sat, Feb. 2 | See what I did there? STRANGE | The Japanese clear a path for the new year by chasing away Yokai (troublemaking demons with a knack for messing things up). They do this by throwing beans at them during the Spring Setsubun festival. Although we may not see Spring for a little while yet (see above), and we don’t see Setsubun celebrations at all here in Vancouver, we still think a little demon-chasing might be a smart move. Being enthusiastic about the weirder customs from around the world, the crew at Strange Fellows has your back. Head down to the Clark Drive brewery on Saturday night to exorcise evil spirits with some bean throwing, a glass of “Yokai” Ginger Wit beer and a round of Karaoke. Find out more. MAKE | Looking for something special to give your Valentine this year? The folks at the Terminal City Glass Co-op can help. Hustle down to their east side workshop and make a heart of glass. You learn a new skill, and your valentine gets a not-so-subtle reminder to be gentle with your love. Win-win! Participants in each 20 minute session will create a colourful heart shaped weight with the help of a professional glass artist. No experience is required, but space is limited and they expect that this event will sell out, so book your session now (click here). Finished pieces are ready for pick-up on Wednesday Feb. 6 or by appointment. Find out more. HEALTH | The Wellness Show is on at the Vancouver Convention Centre this weekend. Expect everything from panel discussions, seminars and cooking demonstrations to mediation spaces, green living products and even a bit of table tennis. Find out more. MUSIC | The longest-serving Music Director in the century-long history of the Vancouver Symphony Orchestra returns for a visit this weekend. While in town, Maestro Bramwell Tovey will conduct two shows: February 1 and 2 at The Orpheum. The program for the evening includes Debussy’s Danses Sacrée et Profane, Bruckner’s Symphony No.6 in A Major, and Kelly-Marie Murphy’s En el escuro es Todo Uno (“In the darkness, all is one”). A visit from an old friend and a little classical music in a pretty theatre like The Orpheum? That sounds like a nice way to step in to February if you ask us! Find out more. DOCK DINNER | Share a meal with friends! Skip the grocery shopping, prep, cooking and clean-up but keep the casual vibe and honest home cooking by hitting Dock Lunch off Main Street this Friday night. The lovely Elizabeth Bryan and her tight kitchen crew have a special Alsatian menu planned that sounds perfect for a February evening. We’re talking Original D Sausage, crayfish bisque, Cornish hen, spätzle and chestnut crème brûlée. I’m so down with this plan! Reservations are STRONGLY recommended (and you know we don’t use all-caps lightly around here). Find out more. FOOTBALL | If you’re ever going to jump on the NFL bandwagon, this is the weekend to do it. Super Bowl #53 goes down Sunday and if you’re looking for a crowd to share the excitement of the the New England Patriots vs. Los Angeles Rams with, The Rio Theatre has you sorted. Cold beer, grilled cheese sandwiches and free admission! How can it get better? As The Rio rightly points out, their screen is bigger – like, waaaaaaaay bigger – than yours. UNWIND | Some people like to chill with a beer. Other people say yoga does the trick. But what about those evolved few that have learned to combine to two? They must be really relaxed, right? If being that relaxed sounds like something you’d enjoy, consider hitting the Steamworks ‘Yoga on Tap’ event this Sunday. This all-levels, no-pressure, feel-good yoga practice is followed by a craft beer flight. Kinda great. Find out more. THE RAMEN NOODLE | Soup season is upon us! Don’t get stuck in a canned soup rut, sharpen your soup-making skills so that you can slurp in style! Where to begin? Good news: Chef Heather Dosman will be at Cook Culture on Monday night to teach a workshop on the the basics of how to make the king of all soups: ramen. This demonstration-style class with some hands-on opportunities will cover the basics of how to make chicken & kombu broth, vegetarian miso mushroom broth, and ramen noodles. You’ll also learn about classic ramen garnishes (from daikon and pickled shiitake mushrooms to marinated tofu and eggs), plus you’ll get to sit down post-class to enjoy a hot bowl of soup with your classmates. Find out more.